Skype is a great platform for offering live adult shows. Some models have reservations about using Skype because they’re scared of getting ripped off. But there are adult-friendly payment processors out there that you can use to prevent getting scammed. The first is SkyPrivate, and they are a great choice to go with. You can use SkyPrivate to charge your fans per minute for Skype shows. All you have to do is download and install their plugin. It counts the minutes you’re on Skype with each customer, and bills them per minute. There’s also the option for the customer to prepay for a show and send you the full payment beforehand. If it’s done that way, you’re responsible for ending the call after the agreed upon time. You choose your own per minute rate, and can change it at any time. You can also set it up so that different customers are charged different prices. This can be useful if you have a customer who does frequent shows and you want to offer them a discounted price. Aside from just the payment processing part, their platform shows you up to the minute statistics. They also create a profile page for you that you can use to advertise on social media. They have a built-in widget to create promo banners too. When you first sign-up with SkyPrivate, you keep 75% of everything you make. But you can keep up to 80% by referring paying members or models. 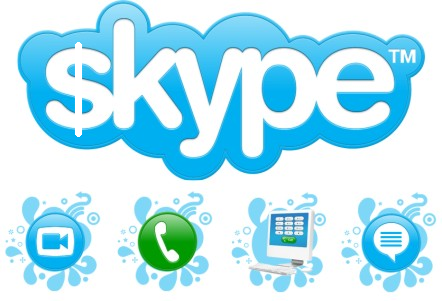 The next option you can use to accept payments for your Skype shows is Paxum. They’re similar to PayPal, but they’re adult friendly. Getting started with them is easy, and cashing out is easy as well. They charge a withdraw fee, but that is the only charge associated with them. To receive your payment via check, there is only a $5 fee. To withdraw via wire transfer, there is a $50 fee. I’ve always received my payments by check, and have never had a problem. They generally get to me within 5 days of cashing out. Some camming sites, such as Myfreecams, let you advertise on their platform that you do Skype shows. You can charge your customer the currency on that camming site beforehand, and then do the Skype show either right away or whenever you and your customer are both free. Putting it on your camming profile that you do Skype shows and mentioning it occasionally while you’re on cam is a great way to get the word out there about your Skype shows. One thing you never want to do is accept PayPal. They are not adult friendly and your account will be permanently banned the second they find out what you’re doing. Any funds you have in your account will be held for months before you can withdraw them. And PayPal will not let you create a new account with them. Besides that, you can easily get scammed if you use PayPal. Your fan can pay for a show, do the show with you, and then call their bank and ask for a chargeback. Since you can’t prove what you were offering (since anything adult is against PayPal’s TOS), your customer will get his money back and you will have done that show for free. When done correctly, offering adult Skype shows can be very profitable. A lot of guys prefer Skype over other camming platforms because it feels more personal. Also the video quality is often better and there isn’t a delay in sound.